Scientists often wonder if rethinking an approach could significantly improve the outcome of a protein purification workflow. Indeed, major improvements can be achieved by making some small changes and proactive choices. GE is sponsoring a new, free educational webinar, “Tips for successful purification of his-tagged proteins,” which will discuss recommendations and tips that can substantially improve the outcome of histidine-tagged (his-tagged) protein purifications. 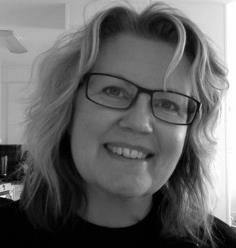 The speaker is Marianne Carlsson, protein purification specialist at GE Healthcare Life Sciences, Uppsala, Sweden. Marianne’s presentation will highlight ways to increase the yield of purified protein, augment the purity of a target protein, optimize the tag removal step, and guide researchers on how to select the best tools to fine-tune results and efficiency in the lab. A live Q-and-A session will follow the presentation. Marianne’s expertise has been honed by three decades of protein purification experience at GE. After earning a BSc in biochemistry from Umeå University and pursuing graduate studies, she joined Uppsala’s Pharmacia LKB Biotechnology, which later became GE. A stint in quality control was followed by 10 years as an R&D method and application specialist, developing chromatography media for research and BioProcess customers. In her current role, Marianne has developed and delivered technical protein purification presentations for customers. She has also been involved in creating wide-ranging support materials such as selection guides, apps, and other tools to help guide customers in their protein purification work. Session 1: 9 am CEST (Berlin)/3 pm CST (Beijing). For full details about the event and free registration, click here. Session 2: 8 am PDT (San Francisco)/11 am EDT (New York)/5 pm CEST (Berlin). For full details about the event and free registration, click here. GE Healthcare provides transformational medical technologies and services to meet the demand for increased access, enhanced quality, and more affordable healthcare around the world. From medical imaging, software and IT, patient monitoring, and diagnostics to drug discovery, biopharmaceutical manufacturing technologies, and performance improvement solutions, the company helps medical professionals deliver great healthcare to their patients.